To reduce the purchased cost of electricity and migrate from conventional to renewable energy sources, Indian Railways is planning to come up with 4 GW of solar PV power projects along the railways tracks. The railway board is examining a project bid document prepared by SECI which is linked with setting up of 1,200 MW (per annum) solar manufacturing project under global competitive bidding (Phase-I). The bid document prepared by SECI recommends PV electricity from panels be fed through inverters and step-up transformers directly into the 25 kV overhead traction system. Around 20 manufacturers are said to be interested in manufacturing the required equipments locally given sufficient demand. The framework document for the project identifies that Railways will offer vacant land on both sides of the identified tracks. Developers will make the investment on solar panels and other equipment. Then, the developers will recover the installation cost of solar panels and other equipment through the sale of power to the railway operator. While, Railways will consume the total output from the project, it will also make arrangement for energy banking with states. Under the arrangement, surplus solar power can be supplied to the state utilities. 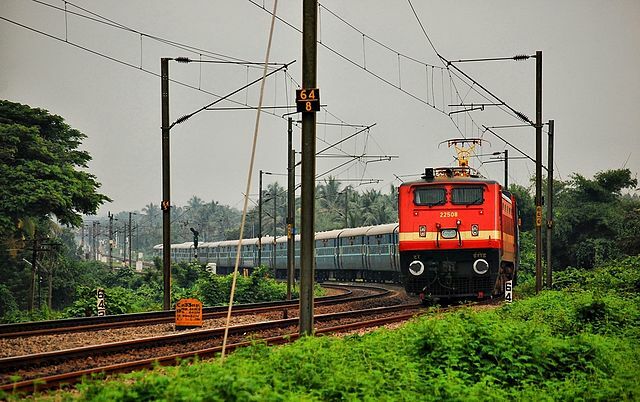 Railways is estimated to save 20% of annual energy bill in the first year and 40% thereafter. The Indian Railways currently requires 16 billion units of electricity every year, equivalent to supplies from 12 GW of solar generation capacity. It spends around Rs 10,000 crore on electricity every year with the average per unit cost being around Rs 6/unit.With solar power this cost is estimated to be significantly less transforming it to savings.